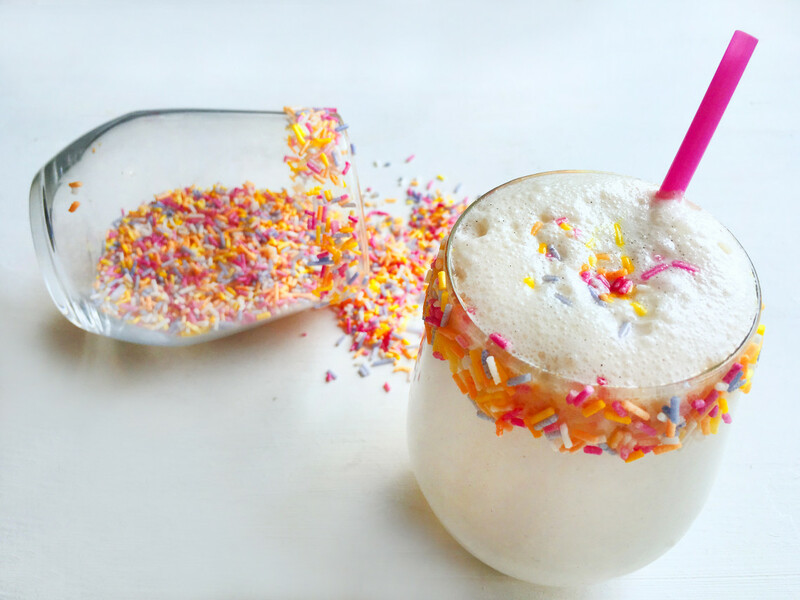 A healthy cake batter milkshake I hear you say? Yup, that’s right… breakfast time no longer has to be so boring – with the sun making an appearance sometimes a hot cup of Bulletproof Coffee is too overwhelming and you crave something a little more refreshing. Rather than grabbing that glass of OJ stock up on a low carb drink that is packed full of good fats and a little protein too to keep your hunger pangs at bay. Just half of one 300 ml serving will supply you with 23.22g fat, 3.98g carbohydrates, and 7.99g of protein – not too shabby hey?! 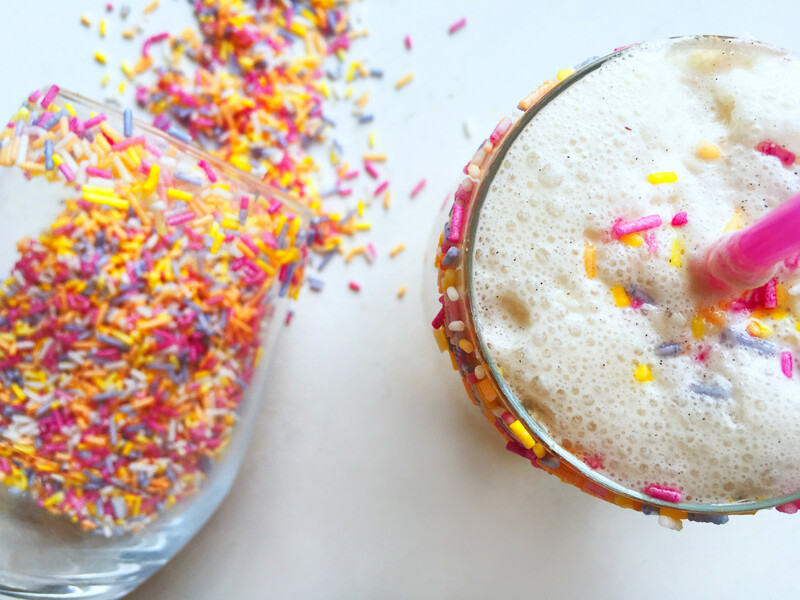 This Healthy Keto Cake Batter Milkshake is a creamy vanilla flavoured shake that’s sugar-free, high in fat, and low in carbs – a fun way to make your macros! 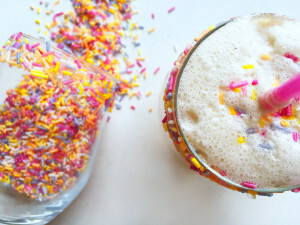 I’ve used sugar strands purely for decoration and I do not recommend adding them into your actual drink but popping them around the rim of the glass will make you feel that little bit happier. Just be sure to drink it with a straw! 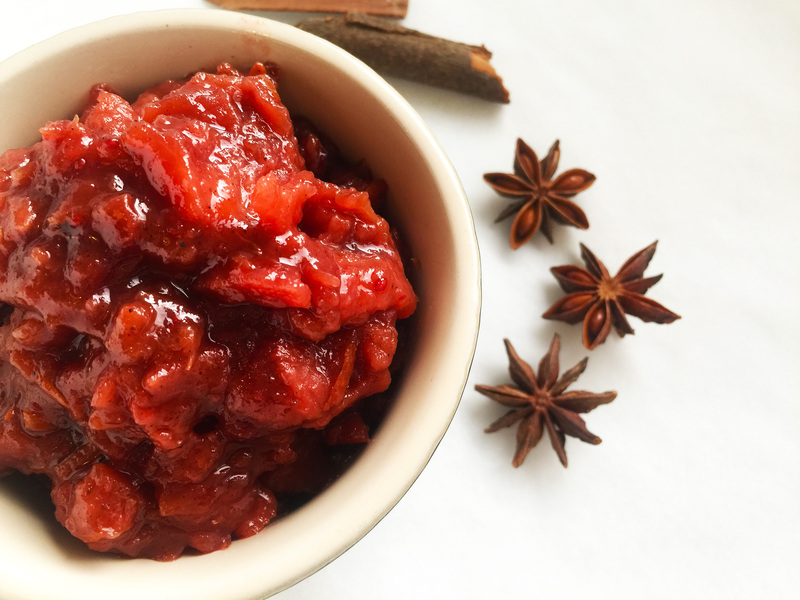 If you’re not that bothered about macros and want a cheeky treat then opt for some all natural sugar strands with as little ingredients as possible and try and find an allergen free one – most use wheat starch! I also used NuStevia an alcohol free liquid stevia from NuNaturals – they kindly sent me out some last year and I have rather shockingly forgotten to post anything about them despite the fact that I use them daily! The NuStevia alcohol free range comes in Clear, Vanilla, Lemon, and Orange. The range is simply made with water, vegetable glycerine, and natural flavours, nothing else, so you know you’re not getting anything nasty there! It’s not as bitter as other stevia extracts I’ve tried as well and the best thing about them is that you only need a few drops at a time meaning that they will quite literally last you about a year. I like to use the clear or vanilla ones in this recipe but to be honest they all work well. UK customers will want to check out iHerb for a pretty comprehensive range of NuNaturals’ products and Amazon also stocks them too. NuNaturals also stock flavours with alcohol such as Peppermint, Cherry, and Cherry Vanilla and a range of syrups and powdered sweeteners too. I made this little number in my favourite super high speed Froothie Optimum G2.1 Platinum Series Blender using the ‘Sorbet’ setting in order to ensure that the ice broke down thoroughly enough – you want the shake to be smooth and not granular. The ice is purely there to keep the drink chilled and refreshing. It also helps to really blitz up those ground almonds and butter too – no lumps in my house! The drink itself tastes beautifully sweet and not exactly how cake batter tastes but not far off either. If you really want to get the cake batter feel I would add in a tablespoon of coconut flour but then it’ll be a little too high carb to be classed as keto so keep that in mind too. It’s also a really fun way to get those good fats into your little ones – Anya stole my shake and guzzled the lot! 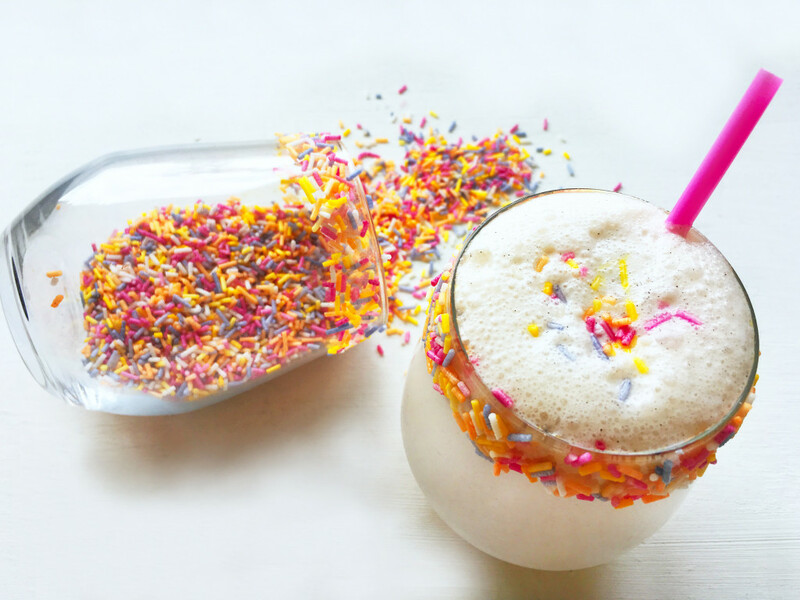 This Healthy Keto Cake Batter Milkshake is a creamy vanilla flavoured shake that's sugar-free, high in fat, and low in carbs - a fun way to make your macros! Place all of your shake ingredients into a high speed blender or food processor and blend until smooth. I used my Froothie Optimum G2.1 on the 'Sorbet' setting to ensure that the ice was thoroughly blended. 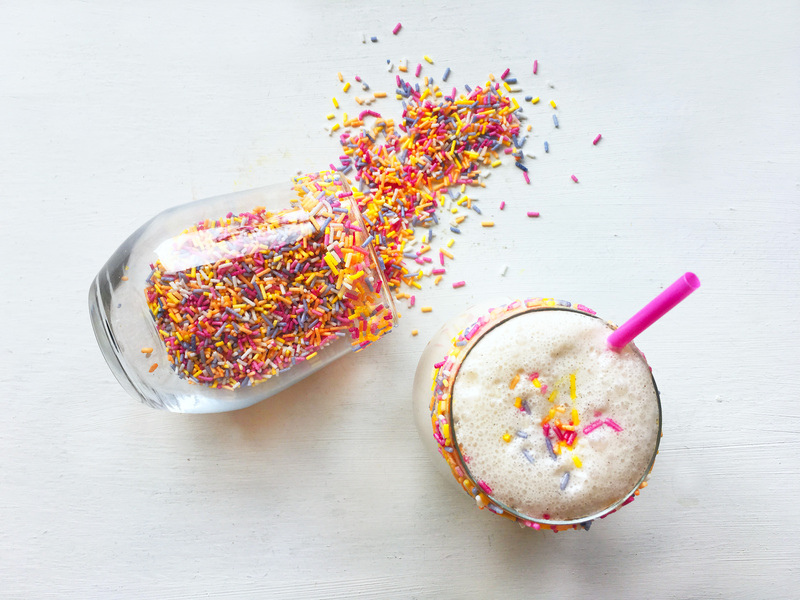 If you wish to decorate your glass then just simply fill a small bowl with 1cm of warm water, place the glass in the bowl rim side down, leave for a few seconds before transferring into a bowl of sprinkles. You can also roll the outside of the glass in sprinkles but I found it easier to place the glass into a small bowl for even coverage. Enjoy! Please note that all nutritional information is based upon using single cream and grass-fed butter. Depending upon your daily macros you may want to consume ½ of the 300ml serving. Disclaimer: Please note that this is NOT a sponsored post. I am a Froothie Ambassador and was sent a Froothie Optimum G2.1 for review – all opinions are my own and 100% honest. The links provided of the blender are affiliate links which means if you buy an Optimum G2.1 using this link, it won’t cost you any extra, but I will get a small commission to help keep my blog up and running. If you’d like to know more, feel free to contact me. This looks lots of fun! I’d never have thought to put ground almonds in a smoothie, but since I would use almond butter it makes perfect sense! I can imagine it tasting like cake batter! Hey Ceri, thanks so much for stopping by and commenting The ground almonds give it that cake like consistency so it’s beautiful! Never thought of adding butter to my smoothie. Sounds quite intriguing and I’m going to have to try it. Love raw cake batter, so what a good idea.